Lushootseed is the traditional language of the Suquamish People. Failed attempts to assimilate the Suquamish by the Federal Government in the 19th and 20th centuries resulted in the near loss of the language. However, a resurgence of cultural practices throughout the last decade has brought with it renewed interest in the study of Lushootseed. The Suquamish Tribe is committed bringing back daily use of the language. In addition to teaching Lushootseed in early learning and secondary school programs, Suquamish offers the community opportunities to practice and study their traditional language. Voice of the First Peoples includes video and audio excerpts of Lushtooseed lessons and stories. Informative video about the Lushootseed language and cultural resurgence. Family Lushootseed classes are designed to incorporate learning for all ages and all levels language proficiency. Students meet weekly for instruction and practice at the Chief Kitsap Academy Gym, mid-September through early June. Family Classes are centered around the kitchen. Study focuses on vocabulary used for cooking, cleaning, eating, putting things away and baking. Everyone goes in to the kitchen daily for some reason, which is why it was chosen to be reclaimed first. Students also learn how to introduce themselves in Lushootseed at Family Classes. The community language program is meant to be fun and entertaining while learning language- the weekly evening program is free, includes dinner and is open to community members. The Suquamish Tribe operates the Marion-Forsman Boushie Early Learning Center and Chief Kitsap Academy (CKA). Language programs are incorporated into standard learning programs at both schools. Early Learning students become familiar with Lushootseed words through a variety of programs including daily language use in the classroom, weekly cultural activities and arts programs. 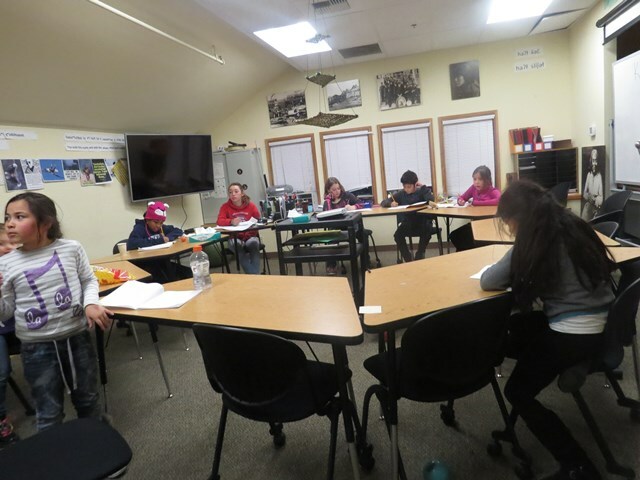 At Chief Kitsap Academy, students in grades 6-12 take Lushootseed language courses, with the goal of revitalizing the language through the creation of a new generation of speakers and teachers. Lushootseed language courses taught in Suquamish for college credit are available through Northwest Indian College (NWIC). There are also Lushootseed language college programs at the following universities.